Rikkitic: especially as member gible appears to have been censored for nothing worse than being a smartass. It says it all. But he wasn't censored. Someone called him an idiot, he replied telling the person to go screw himself. So I removed both posts since both involved personal attacks, which is already in our Forum Usage Guidelines as a big no-no. So it wasn't just "being a smartass" but name calling. Because he is not the one who initiated I have not issued a warning. Being a smartass can be annoying but it's no reason for any action really. Repeating it would be a different story. Why do we have to justify every action we take when managing the forums? Rikkitic: I don't quite get why Tor users can't even browse the site as anonymous guests (that 403 error). It just seems a little heavy-handed. It also seems a bit pointless as I quickly realised that it can be easily got around by funneling Tor through a web proxy. I still can't log on (which is fair and reasonable) but at least I can scan the forums again with my shields up. Question: So why do it this way at all? Because blocking at web server level is quick to implement and doesn't impact in system resources or development time. Please read my previous reply. We might change it, but it's not a simple one day job. At the end of the day has to come down to whether you trust your traffic exiting the TOR network and onto the internet via a private proxy that could easily be sniffing all your traffic. 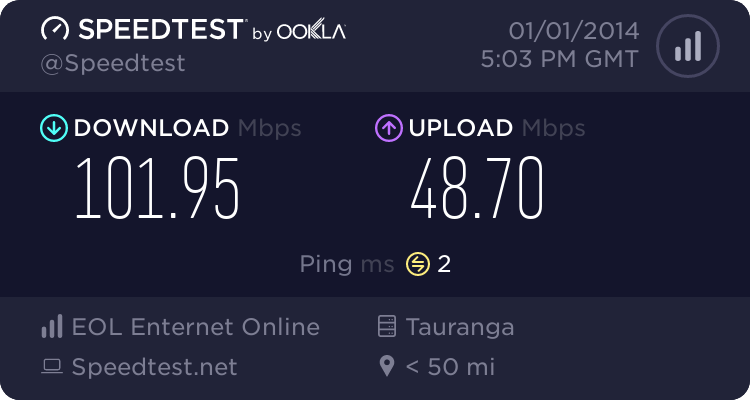 Personally I'd trust any ISP over TOR because at least I know where my traffic is going. TOR might offer anonymity on the internet, but that comes with IMHO a massively increased risk of your traffic being intercepted by a 3rd party. You have to decide what you're happy with. It might also be worth reading this new paper detailing how IP's can be relealed. Ok... After looking at possible solutions I have implemented an application level filter. You will be able to read but not write when accesing through a TOR exit. This might be in effect in the next couple of hours after the update is replicated. sbiddle: It might also be worth reading this new paper detailing how IP's can be relealed. "Using BitTorrent as the insecure application, we design two attacks tracing BitTorrent users on Tor. We run these attacks in the wild for 23 days and reveal 10,000 IP addresses of Tor users. Using these IP addresses, we then profile not only the BitTorrent downloads but also the websites visited per country of origin of Tor users. We show that BitTorrent users on Tor are over-represented in some countries as compared to BitTorrent users outside of Tor. By analyzing the type of content downloaded, we then explain the observed behaviors by the higher concentration of pornographic content downloaded at the scale of a country. Finally, we present results suggesting the existence of an underground BitTorrent ecosystem on Tor." sbiddle's reply captures it perfectly, and I agree with him. In most scenarios I trust my ISP far, far more than tor. The only exception would be when I am on public access networks (in particular, hotels in certain European countries, and any WiFi), but I IPSEC tunnel my traffic to a trusted endpoint when I am away from home - and go back to trusting my ISP. As an ISP/telco guy, I can guarantee that we have far more interesting things to do than look at what subscribers are doing and where they're going. Thanks again for the responses. I always learn a lot from these discussions. For the record, I don't use BitTorrent and that's not why I use Tor. I did read about tracing Tor users on BitTorrent, but I believe that had more to do with BitTorrent than Tor. In any case, the Tor website makes a point of emphasising that Tor isn't intended for file sharing, nor designed to be secure for that purpose. Thanks Freitasm for implementing the filter. I look forward to scanning the forums without having to go through convolutions to access the site. I hire a man to browse the web for me. I ring him from a prepaid phone and he browses to the sites I tell him. I watch the screen from 10km away with a high powered telescope. muppet: I hire a man to browse the web for me. I ring him from a prepaid phone and he browses to the sites I tell him. I watch the screen from 10km away with a high powered telescope. how do you pay him? credit card or cash? if cash how do you deliver the money? did you register the prepaid phone? do you use your 'normal' voice? if you are watching the screen from 10km away, will you need to be on top of the high rise building (in order to get clear view)? have you checked his background prior to hiring him? if you are that paranoid, do yourself a favor, check in to ward 27 at Wellington hospital.